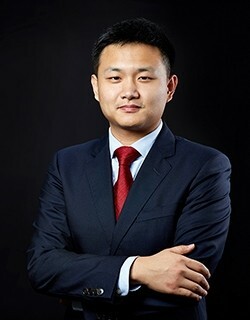 John Zhuang Liu is assistant professor of law and economics at the School of Management and Economics, the Chinese University of Hong Kong, Shenzhen. He received a Bachelor of Law and a Ph.D. in Law from Peking University, and a J.S.D. from the University of Chicago. His research focuses on judicial behavior and the Chinese judicial system. His current research projects include using experiments to study the hidden behavior patterns of judges (e.g., decision biases and debiasing); using quantitative methods to study massive judicial decision data in China; using survey data and experiment to study public punitive attitude in China and its correlation with the social and economic status of individuals; using mobile telecom network and law compliance data in China to study why people (dis)obey the law. His work has appeared in a number of academic journals, including Journal of Legal Studies, American Journal of Comparative Law, China Review, Peking University Law Journal, and Law and Social Sciences (Chinese). Precedent and Chinese Judges: An Experiment. American Journal of Comparative Law (forthcoming) (with Lars Klohn and Holger Spamann). Mass Publicity of Chinese Court Decisions: Market-Driven or Authoritarian Transparency? China Review, 18(2) (2019) (with Yingmao Tang). Does Reason Writing Reduce Decision Bias? Experimental Evidence from Judges in China. Journal of Legal Studies, 47(1) (2018). Moral Hazard in Securitization: Between Truth and Illusion. Peking University Law Journal, 5(2) (2017). Comparative Legal Reasoning: Experimental Outcome and Click-Stream Data from Argentinian, Chinese, French, German, and U.S. Judges (with Holger Spamann, Lars Klohn, Christophe Jamin, Alexander Morell, Ivan Reidel). Mass Publicity of Chinese Court Decisions: Market-Driven or Authoritarian Transparency? China Review 18(2) (2019) (with Yingmao Tang). Does Reason Writing Reduce Decision Bias? Experimental Evidence from Judges in China. Journal of Legal Studies 47(1) (2018).